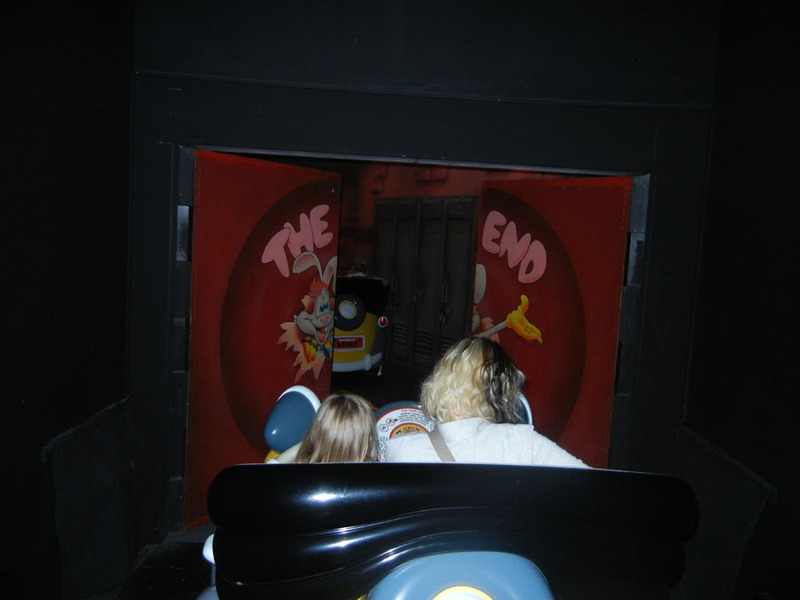 The pictures of Toontown in Disneyland are split into eight sections: Introduction, Mickey's House, Chip and Dale's Treehouse, Gadget's Go Coaster, Goofy's Playhouse, Roger Rabbit's Car Toon Spin, the Disneyland Railroad, and the Toontown Plaza. 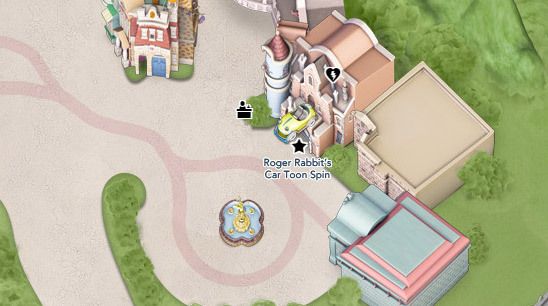 Roger Rabbit's Car Toon Spin is a dark ride through the cartoon world of Roger Rabbit. 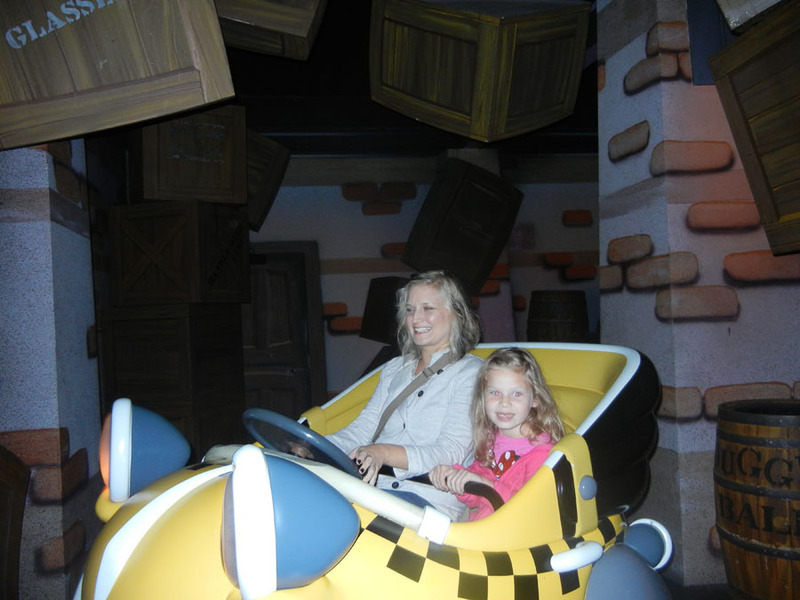 The ride vehicle is a taxi which travels along a track, but that can spin completely around, controlled by the steering wheel. 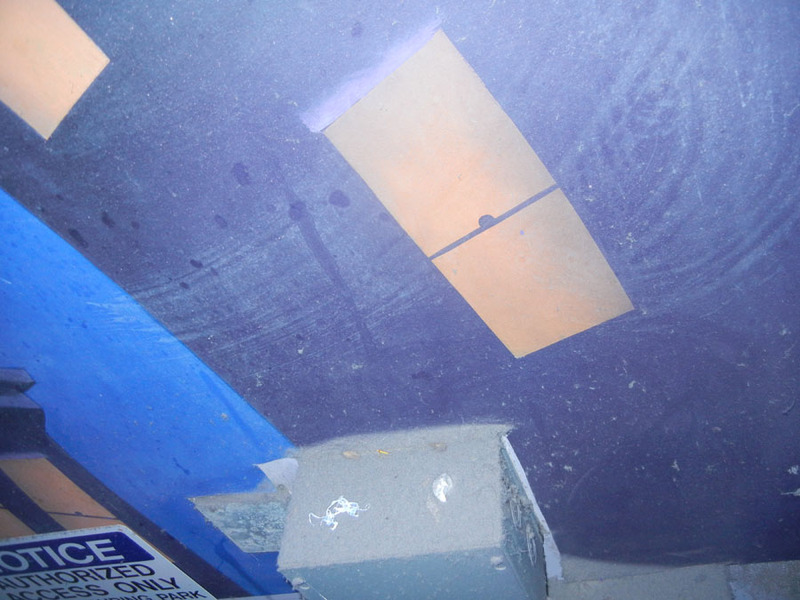 There are only a few pictures of this ride, including this peek backstage from the line. 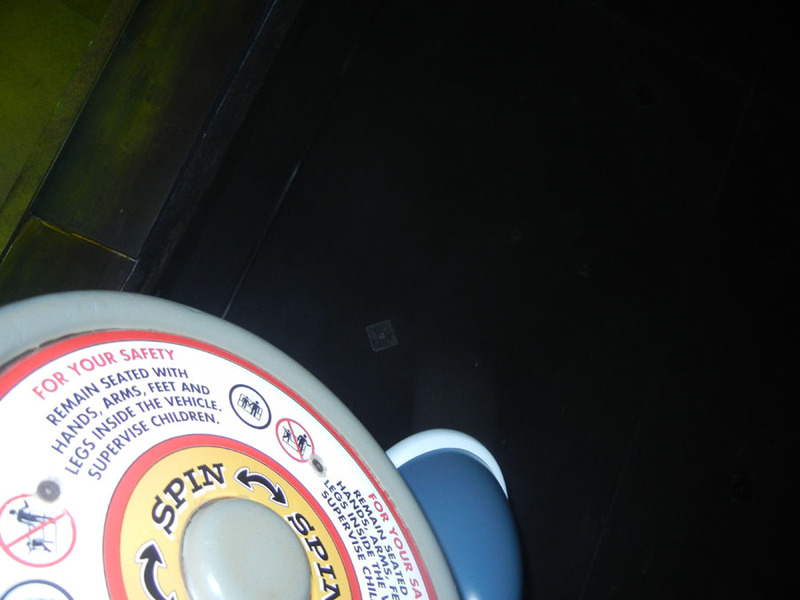 The steering wheel at Car Toon Spin is a solid disk with instructions and warnings. The wheel doesn't have any holes in it, because if it did, you might stick your hand through the holes and suffer an injury. 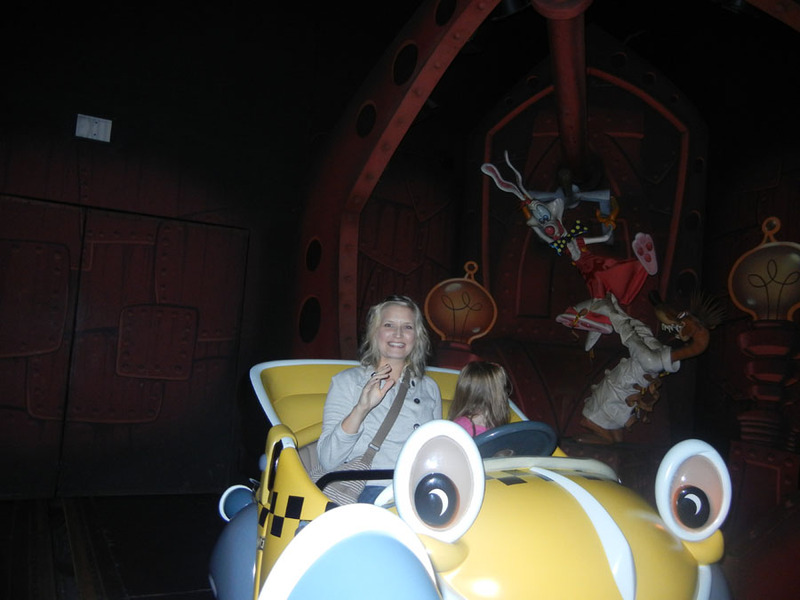 I believe this is part of a scene from a factory in the ride. 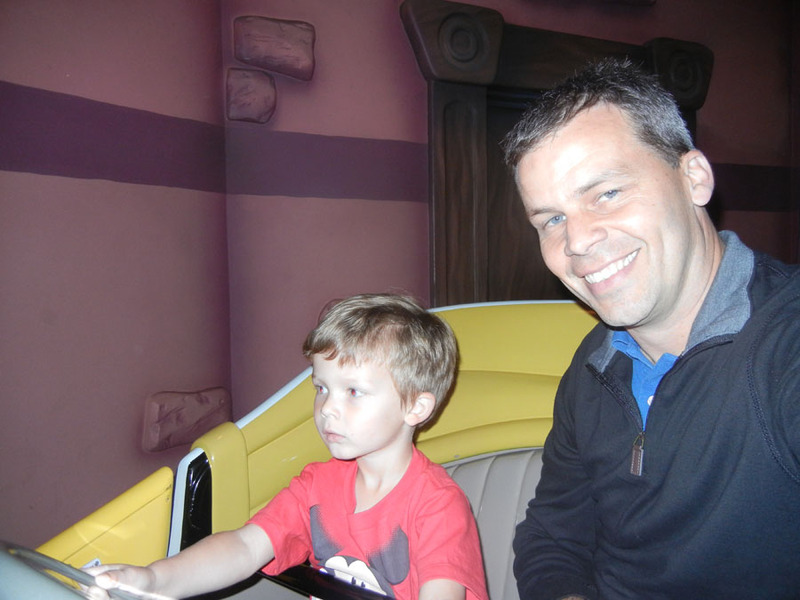 Kids love this ride. There is something to look at in every corner. 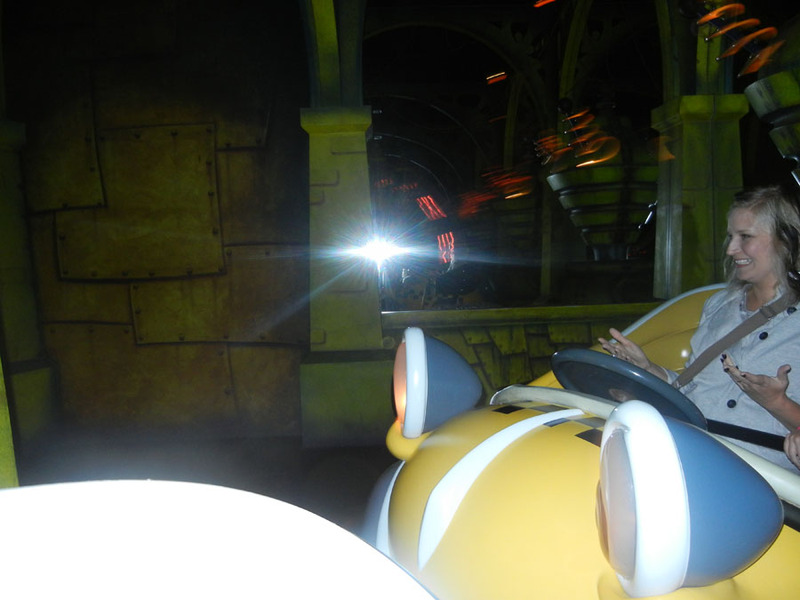 The wheel is in the middle of the dashboard, so both riders have an opportunity to spin the car. 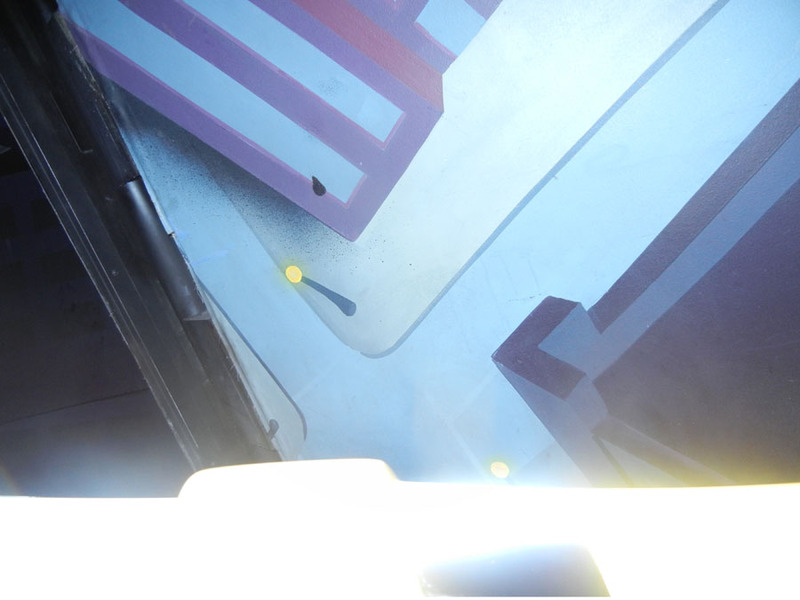 Attractions include Mickey's House, Minnie's House, Chip and Dale's Treehouse, Gadget's Go Coaster, Goofy's Playhouse, Roger Rabbit's Car Toon Spin, the Train, Donald's Boat and the Jolly Trolley in the Plaza.